• Remove onion-tomatoe mixture from saucepan and puree. First slice the cherry tomatoes in half and then finely slice both the onion and garlic cloves. The red chili should be finely chopped up but the basil only needs to be roughly chopped. Take a large frying pan and place the pasta on the bottom center, then arrange the onions on both sides. Add in the tomatoes, spinach, garlic, and chili to both sides of the pan and sprinkle the chopped basil atop it. Drizzle on the olive oil, shake some salt and pepper on, then add 600 ml of water. Place the pan over medium-high heat and bring it to a boil. For al dente pasta, cook for approximately 9 minutes, stirring regularly with tongs. For a more well done, softer pasta cook for a minute or two longer. Remove the pan from the stove when most of the liquid has evaporated and created a yummy sauce. Add in the pecorino cheese, a little more basil if you’d like, and salt and pepper to taste. Serve and enjoy! As a mom food has to be fast prepared, healthy and comforting. I love this recipe! 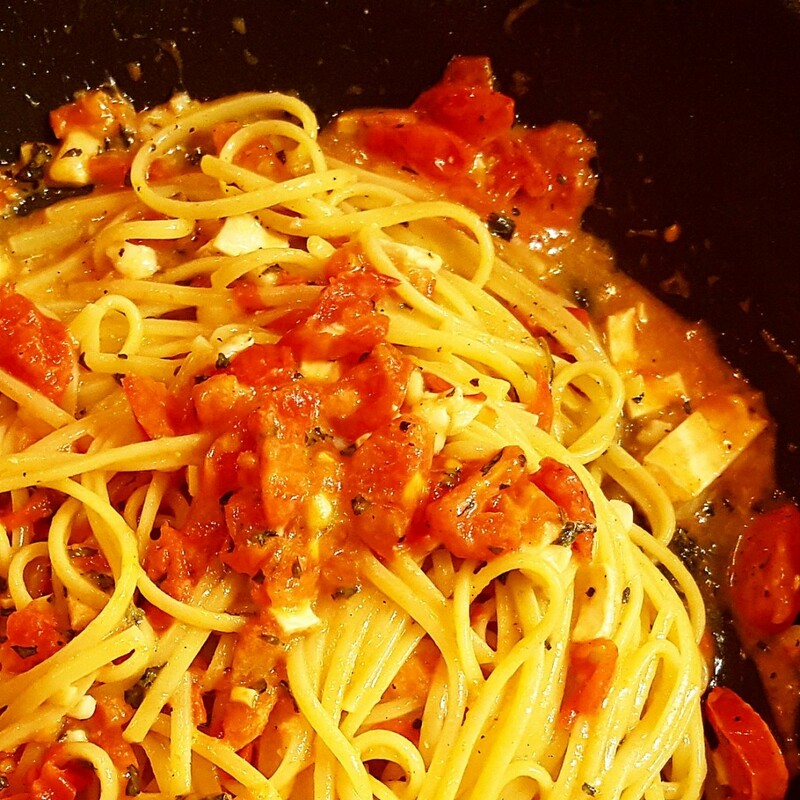 Cook linguine in salted water until al dente. 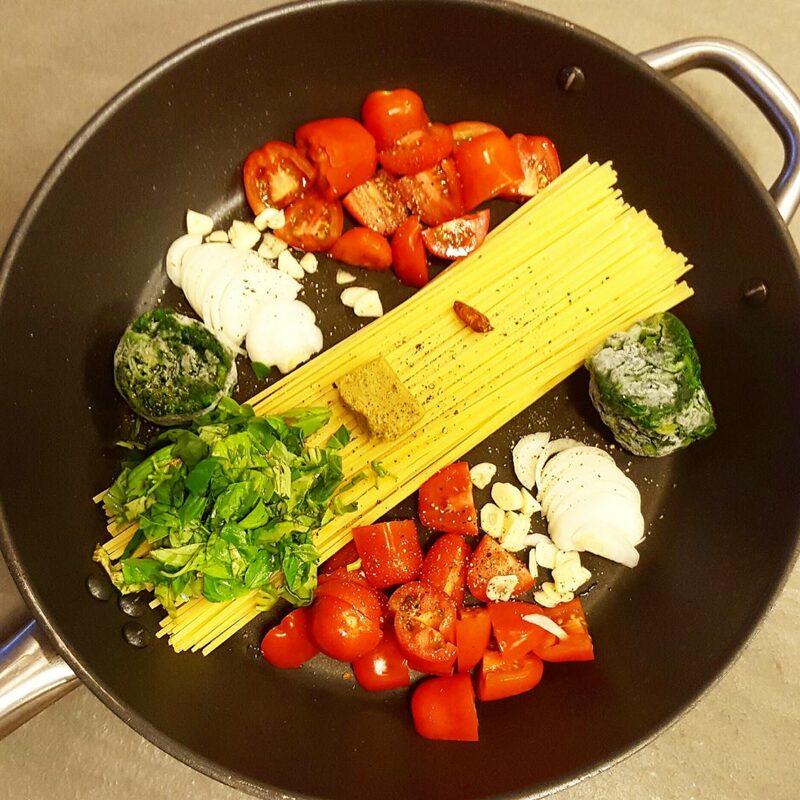 While pasta is cooking heat oil in a large pan and quickly sautee tomatoe, garlic and basil. Mix in cheese until melted and well combined and set aside. Add linguine with a little cookeing water and mix. Add freshly ground pepper and salt to the taste. 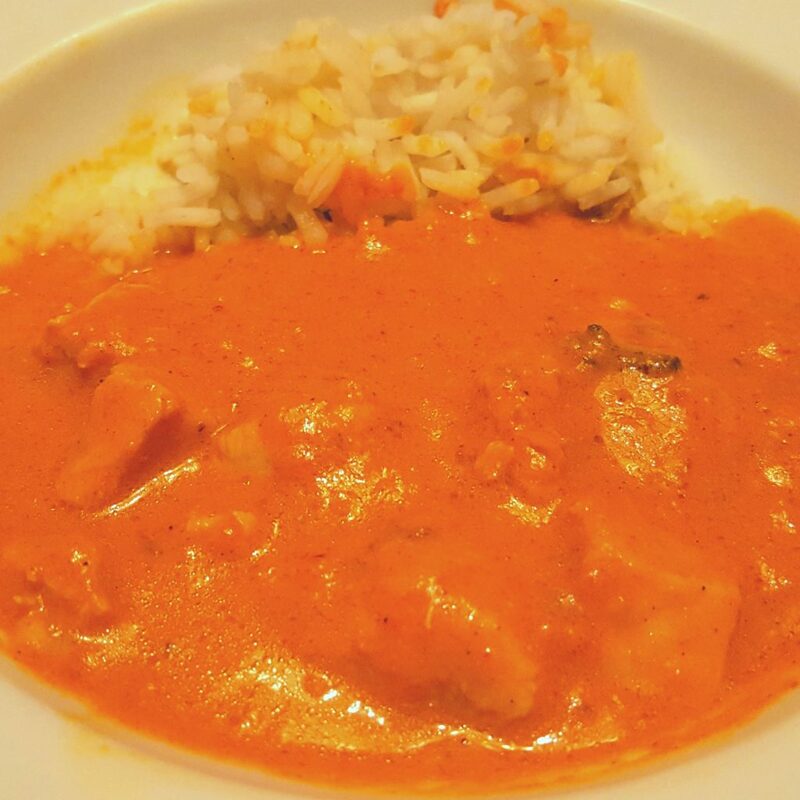 This is the special flavour boost that makes not only middle eastern dishes addictive! I used it in a chicken stuffing and it was delicious!! Cut lengthwise creases into 4 lemons as if you would quarter them. This way the lemons are quartered but are still connected in the middle. In these creases sprinkle eacch 1/4 Tsp salt and press together. 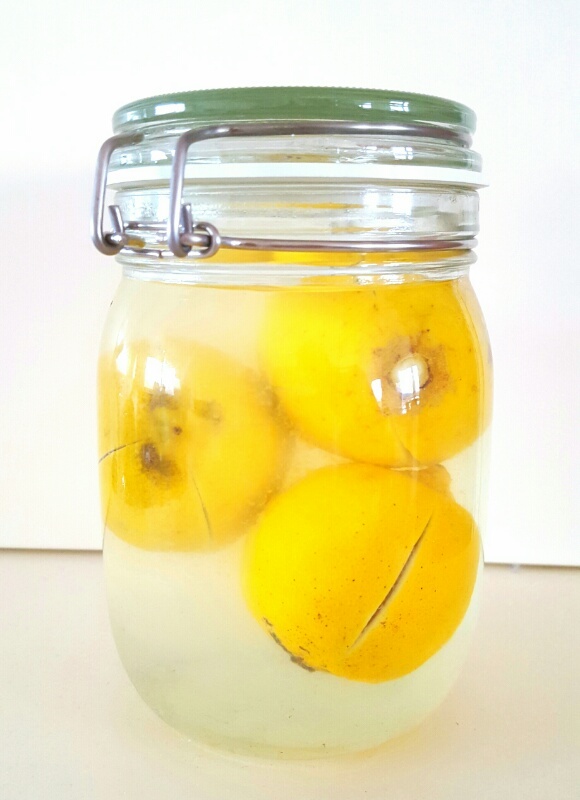 Put them into the preservation glass together with 1 Tbsp salt and the juice of the fifth lemon. Fill up with boiling water and immediately close. Marinate for 3 weeks. For cooking use only the lemon peel and juice. Hey, of course we order pizza! And always too much too…. this time I came up with a more creative idea than cold pizza for breakfast! 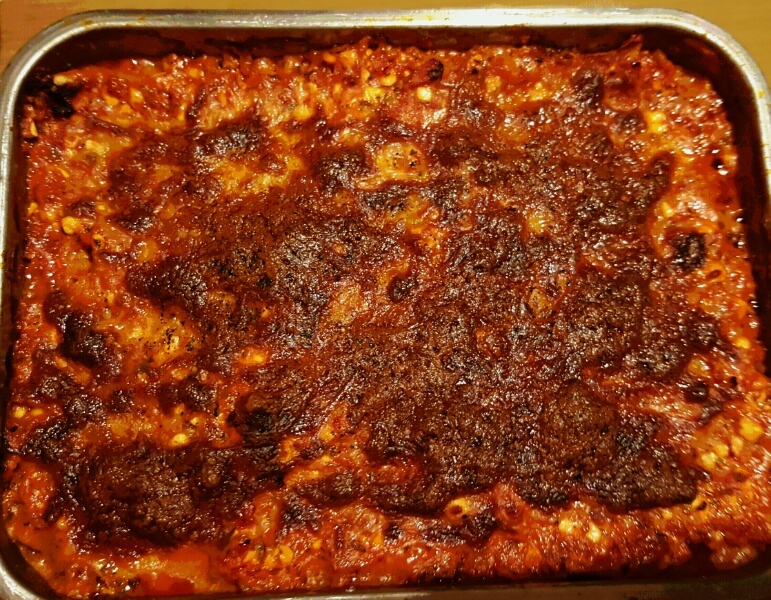 Pizza lasagna sounds strange but I promise it is amazing! And even more amazing is the fact that it takes only 10 minutes to through together (+30 minutes to bake)! Backpacking through Vietnam we ordered this strange sounding dish in a shabby little restaurant in Ho An. It was an enlightening! 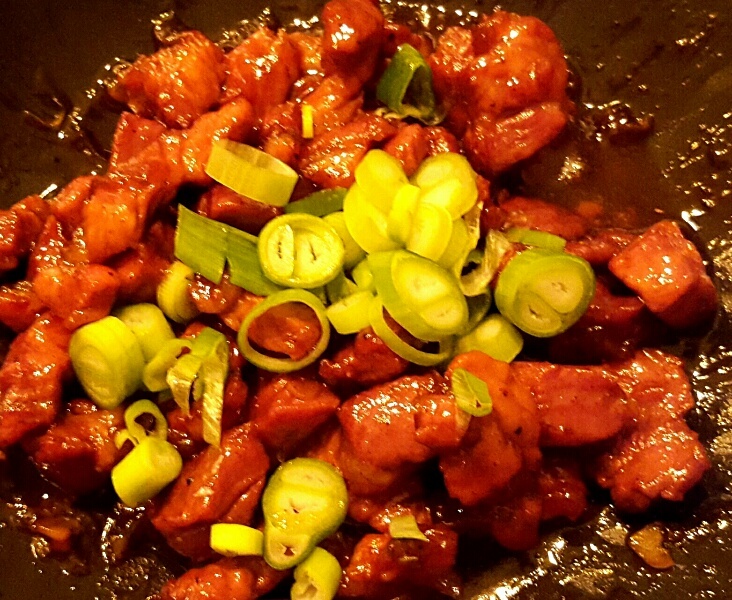 This is one of our most favourite dishes! And it is done in a breeze! Ready for some exotic flavours? In a hot wok heat oil and stir in sugar. Stir until sugar is disolved. Add pork and stir until browned about 5 minutes. The caramel will form lumps. Add onion and garlic and stir for about 2 minutes. Add soy sauce, sesame oil and fishsauce and cover. Reduce heat to medium and simmer until caramel has dissolved about 5-10 minutes. Uncover, set heat to high and simmer until sauce has thickened and pork is tender and coated in caramel sauce (about 10-20 minutes). Top with green onions and serve with rice. Preheat oven to 180 °C. In a large pot heat oil and fry onions until browned. Add tuna, tomato, cherry tomatoes, wine, salt, pepper and garlic. Boil for a few minutes until spinache is thawed. Season to taste. 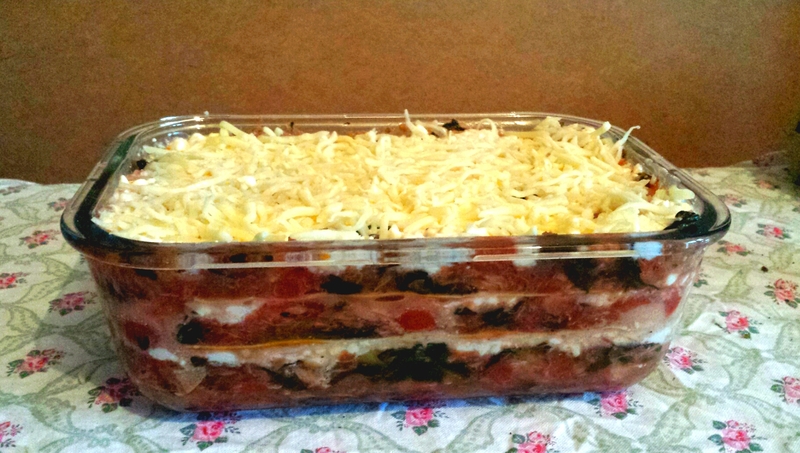 In a casserole start by layering tuna-tomato sauce, then follow by layering lasagna noodles, tuna-tomato sauce, cottage cheese, mozarella, lasagna noodles, tuna-tomato sauce, cottage cheese. Top with mozzarella, parmesan and pepper. Bake for 30 minutes or until golden brown. There are certain kinds of food that I cannot get enough from. 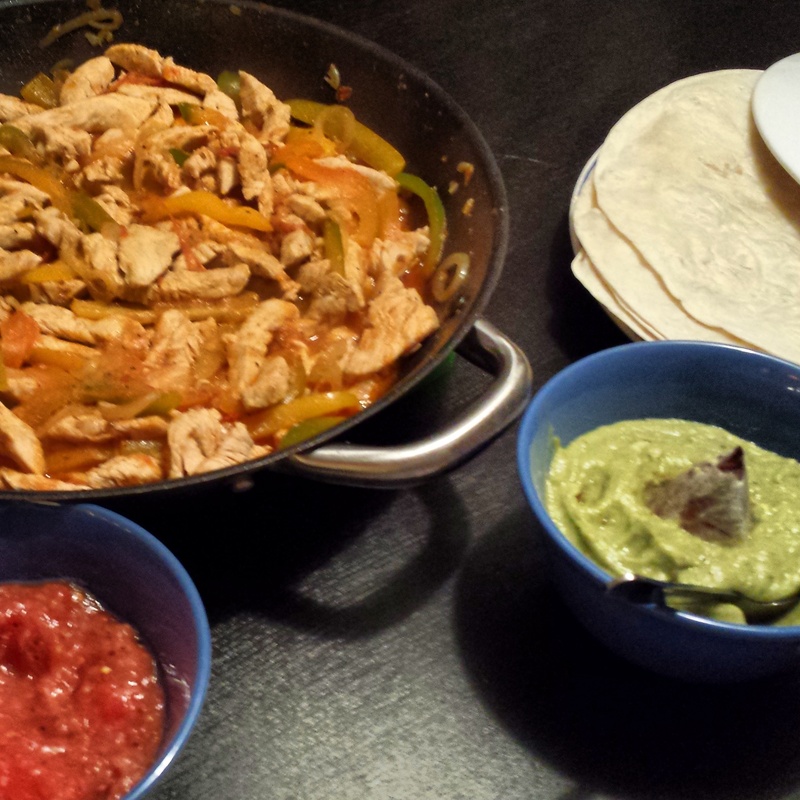 Well…Fajitas are definitely one of them. I just love this mixing and matching and the way this is a wonderful socializing family food. And the best thing is it is really easy to make! How to eat: Take a tortilla place all the ingredients you like in the middle line leaving a bit space on the bottom side facing you. Fold up the side facing you and then the left and right side to form a package that is open at the upper end. Now you can pick this up and eat with your hands. I just love sushi. 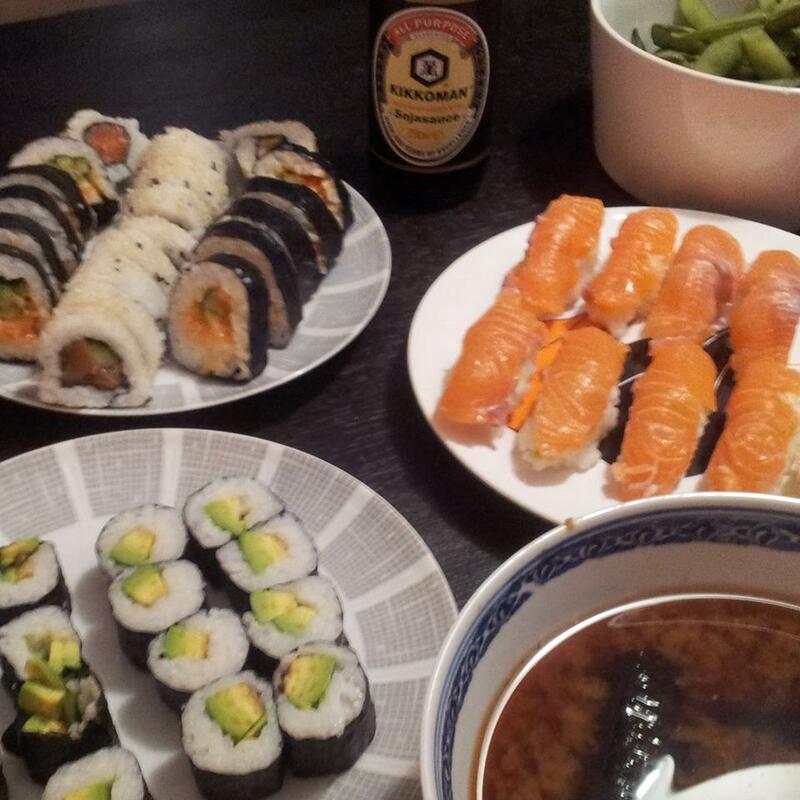 With this easy tricks you can eat fresh home-made sushi whenever and with the high quality you want without paying the extraorbitant prices real sushi places charge. Come on …they are realy crazily expensive! Rinse the rice in a strainer until the water runs clear. Combine with water in a pot. Bring to a boil, then reduce the heat to low, cover and cook for 20 minutes. Rice should be tender but with a bite and water should be absorbed. Meanwhile, combine the rice vinegar, oil, sugar and salt. Stir until the sugar dissolves. Pour the hot rice into a big bowl and spread out. Pour the vinegar mix over the rice and mix it in slicing motions with a wooden spatula or spoon. Don’t stir, that will make the rice stick together too much and be smushy. Mix until rice is dry and slightly sticky. Let cool and make your favourite sushi. No limits for creativity! I love real Sichuan Style Chinese food! In Austria we just don’t get anything that is even close to Asian food! This recipe is easy to make and you don’t need out of this world (country) ingredients. Soak peanuts in water. Mix chicken, starch, egg white and salt in a medium bowl. Mix soy sauce, wine, vinegar, sesame oil and sugar in a small bowl. Drain peanuts completely. Heat 1 Tbsp’s oil in a frying pan and fry peanuts until browned about 3 minutes. 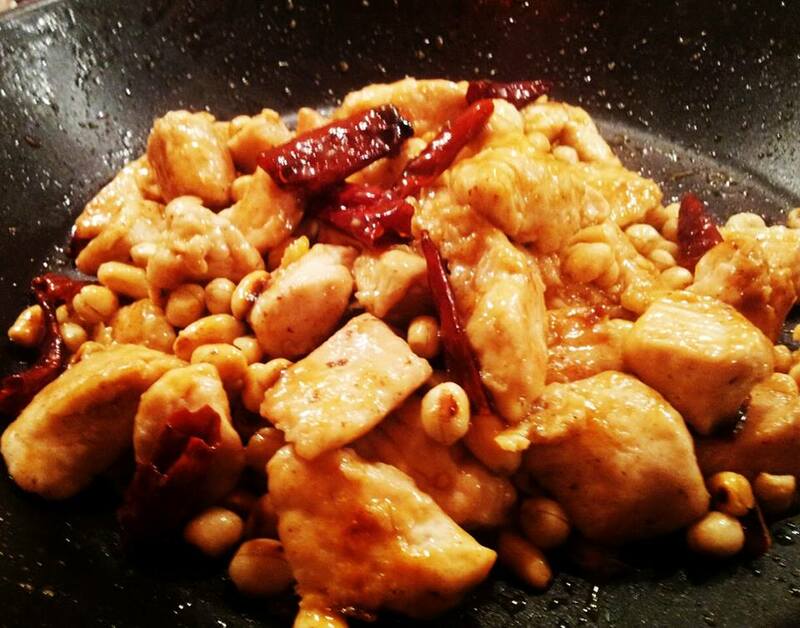 Remove peanuts, add rest of the oil and fry marinated chicken until browned about 2 minutes. Remove chicken and drain oil until only a slight film of grease is left at the bottom of the pan. Add chilies and garlic and fry for 1 minute. Add chicken and fry for one more minute. Mix in sauce mixture and remove from heat. Mix in peanuts. Serve with rice.